There are several important positron emission tomography (PET) imaging scenarios that require imaging with very low photon statistics, for which both quantitative accuracy and visual quality should not be neglected. For example, PET imaging with the low photon statistics is closely related to active efforts to significantly reduce radiation exposure from radiopharmaceuticals. 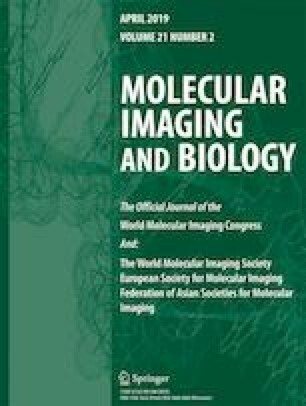 We investigated two examples of low-count PET imaging: (a) imaging [90Y]microsphere radioembolization that suffers the very small positron emission fraction of Y-90’s decay processes, and (b) cancer imaging with [68Ga]citrate with uptake time of 3–4 half-lives, necessary for visualizing tumors. In particular, we investigated a type of penalized likelihood reconstruction algorithm, block sequential regularized expectation maximization (BSREM), for improving both image quality and quantitative accuracy of these low-count PET imaging cases. The NEMA/IEC Body phantom filled with aqueous solution of Y-90 or Ga-68 was scanned to mimic the low-count scenarios of corresponding patient data acquisitions on a time-of-flight (TOF) PET/magnetic resonance imaging system. Contrast recovery, background variation, and signal-to-noise ratio were evaluated in different sets of count densities using both conventional TOF ordered subset expectation (TOF-OSEM) and TOF-BSREM algorithms. The regularization parameter, beta, in BSREM that controls the tradeoff between image noise and resolution was evaluated to find a value for improved confidence in image interpretation. Visual quality assessment of the images obtained from patients administered with [68Ga]citrate (n = 6) was performed. We also made preliminary visual image quality assessment for one patient with [90Y]microspheres. In Y-90 imaging, the effect of 511-keV energy window selection for minimizing the number of random events was also evaluated. Quantitatively, phantom images reconstructed with TOF-BSREM showed improved contrast recovery, background variation, and signal-to-noise ratio values over images reconstructed with TOF-OSEM. Both phantom and patient studies of delayed imaging of [68Ga]citrate show that TOF-BSREM with beta = 500 gives the best tradeoff between image noise and image resolution based on visual assessment by the readers. The NEMA-IQ phantom study with [90Y]microspheres shows that the narrow energy window (460–562 keV) recovers activity concentrations in small spheres better than the regular energy window (425–650 keV) with the beta value of 2000 using the TOF-BSREM algorithm. For the images obtained from patients with [68Ga]citrate using TOF-BSREM with beta = 500, the visual analogue scale (VAS) was improved by 17 % and the Likert score was increased by 1 point on average, both in comparison to corresponding scores for images reconstructed using TOF-OSEM. Our investigation shows that the TOF-BSREM algorithm improves the image quality and quantitative accuracy in low-count PET imaging scenarios. However, the beta value in this algorithm needed to be adjusted for each radiopharmaceutical and counting statistics at the time of scans. The authors would like to thank the clinical staff who performed PET/MR imaging studies of [68Ga] citrate and [90Y]microspheres. This work was supported in part by research grant from GE Healthcare and UCSF Department of Radiology and Biomedical Imaging as well as Cancer Center Support Grant from National Cancer Institute (P30CA082103). Y.S. was supported by National Cancer Institute (R01CA154561), National Institute of Biomedical Imaging and Bioengineering (R01EB026331), and National Heart, Lung, and Blood Institute (R01HL135490). M.J.E. was supported by the American Cancer Society (130635-RSG-17-005-01-CCE), the American Brain Tumor Association (DG1700008), the National Cancer Institute (P50CA097257), and the Department of Defense (W81XWH-16-1-0469). M.M.K., K.A.W., and T.W.D. are employees of GE Healthcare. No other potential conflict of interest relevant to this article was reported.